Please contact us if you would like to place an order or would like more information about any of our products. All Cats & Ghosts products are shipped to you accompanied by our beautiful branded packaging. 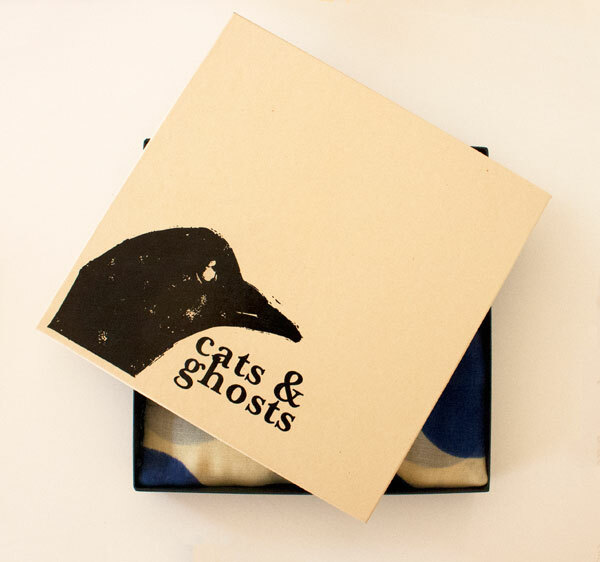 Cats & Ghosts rigid scarf and jewelry boxes are made from 100% recycled paper and are made in the US. Cats & Ghosts’ (also referred to as Seller in this document) acceptance of Reseller’s (also referred to as Buyer in this document) orders is expressly made conditional on Reseller’s assent to these terms and conditions. Unless otherwise agreed to in writing by all parties, the terms and conditions set forth on the credit/buyer application, order confirmation and/or invoice supersede the terms and conditions of the Buyer’s purchase order(s) and will govern all transaction between the Buyer and the Seller. These terms and conditions also apply to all future transaction unless modified in writing signed by all parties. Buyer’s acceptance of goods delivered by Seller in conjunction with this invoice, credit/buyer application, or order confirmation is an acknowledgement by Buyer of its acceptance of these terms and conditions. Opening order minimum is $500. Seller ships via UPS Ground or FedEx Ground unless otherwise specified by the Buyer. The Buyer consents to paying the shipping estimate provided by the Seller at time of shipment, unless a prior written agreement was consented to between Buyer and Seller. Buyer must pay 50% at signing and the remaining balance upon shipment of merchandise, unless waived by the Seller. Visa, MasterCard, and Company Check are accepted as payment. Merchandise is handmade with care and requires 30 days (up to 400 pcs) and 50 days (401-1000 pcs) processing and delivery. The Buyer must make any claims of defects, including but not limited to those related to shortages, quality, or specification, within the first 7 days after the receipt of merchandise. It is the responsibility of the Buyer to inspect upon receipt, that all merchandise delivered matches its order. A written authorization from Cats & Ghosts must be obtained by the Buyer for any returned merchandise. 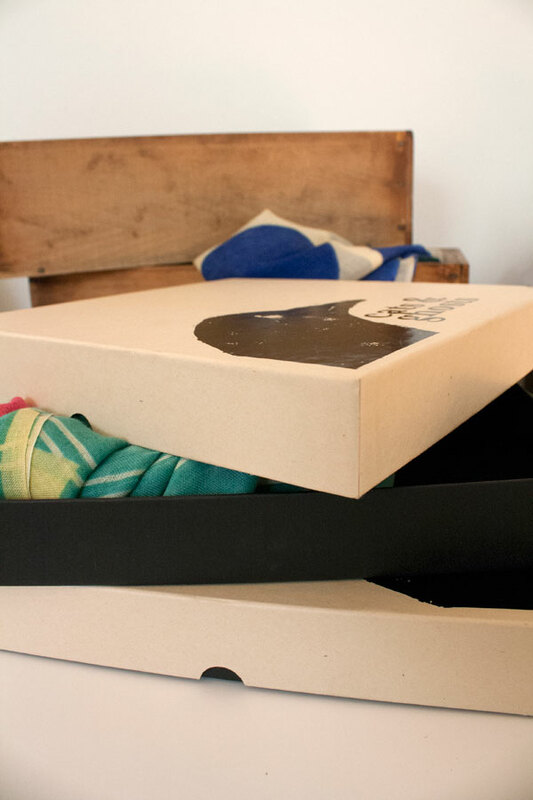 Return of undamaged/unworn items must be made within 7 days of receipt of goods and in original packaging. Cats & Ghosts will charge the Buyer a 25% restocking fee on all order cancellations and returned merchandise without defect. Buyer pays shipping costs for all returns. Due to the handcrafted, one-of-a-kind nature of Seller’s products, slight variations in color, product appearance, and texture may change from item to item and order to order. Cats & Ghosts cannot guarantee to replace the product exactly to match the product the Seller is replacing or reordering in appearance, color, or texture. Cats & Ghosts guarantees that the quality, size and volume of the replaced item will be of equal value to the item the Seller is replacing or reordering. Buyer agrees not to alter the merchandise in any way, including printing, embellishing, decorating, cutting and removing labels, without the prior written consent of Cats & Ghosts.